Apple reported record-breaking quarterly earnings today, but—for the first time ever—the company also projected a decline in iPhone sales. Not that any of that really matters. 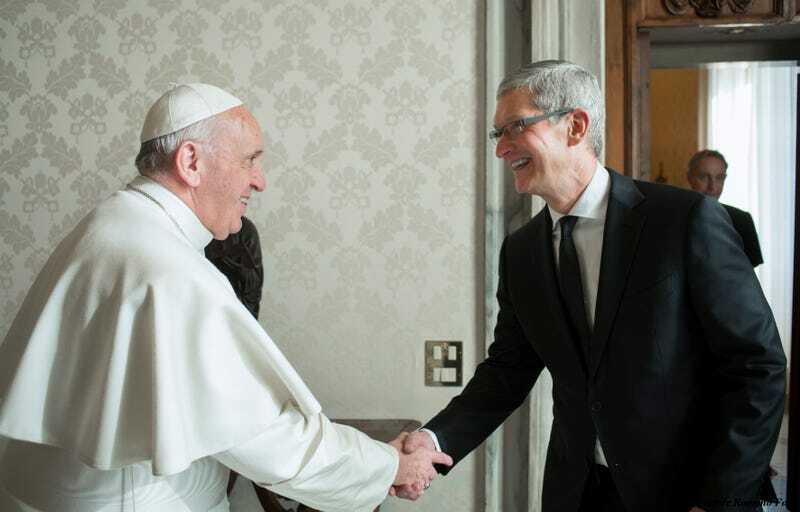 The future of Apple is secure, thanks to a little help from a higher power.